NOTE: You need an invitation from a health service provider in order to use Wellmo. 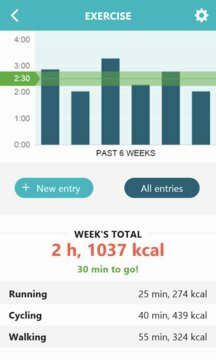 Wellmo offers simple & easy self-tracking and access to service providers’ services. 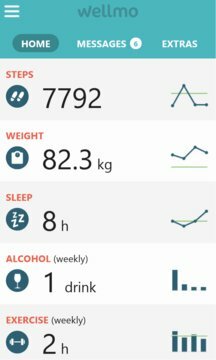 Wellmo covers a broad spectrum of health and wellbeing topics, and can be used on its own or with an array of compatible apps and devices.